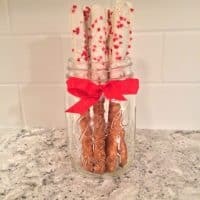 This easy-peasy, sweet, and salty white chocolate dipped pretzels recipe is perfect for a last-minute no bake Valentine's Day treat. If there is one taste combination I love, it is that tasty sweet and salty combination. It gets me coming back for more every time. 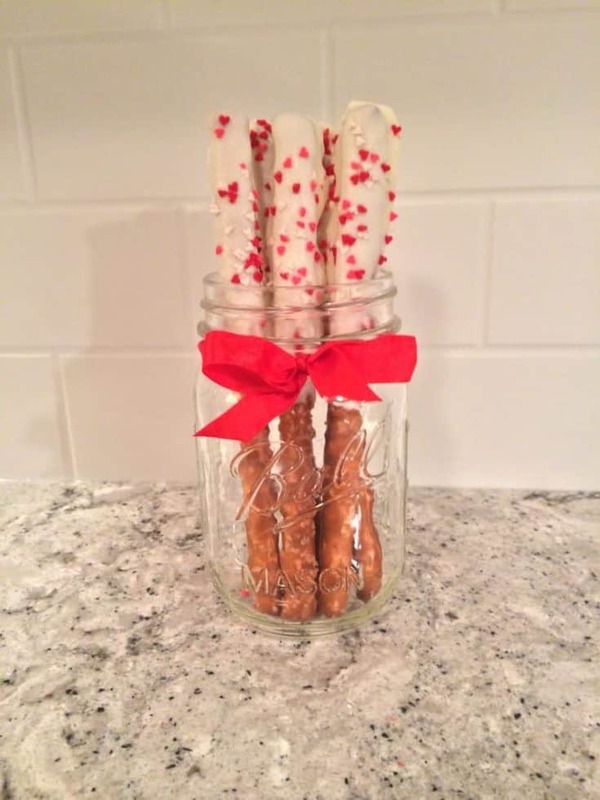 That is why I am a huge fan of chocolate covered pretzels – they are the perfect sweet and salty combo. Plus, making them is super simple. All you need are pretzel rods, white chocolate chips, sprinkles, and about 10 minutes. 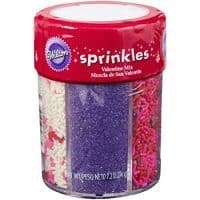 I was able to find these adorable heart shaped sprinkles, as well as red sanding sugar, at my local grocery store, buy you can order heart sprinkles as well as other sprinkles in Valentine's Day colors online as well here. This recipe is perfect for an easy Valentine's Day treat. Enjoy! You will also want a non-stick surface to lay the dipped pretzels on to dry. 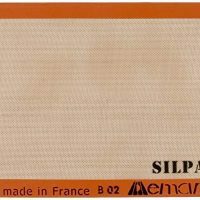 I prefer using my reusable non-stick baking mat, but wax paper or parchment paper will work just as well. This is an easy-peasy recipe for a sweet and salty treat that is perfect for a last-minute Valentine's Day treat. 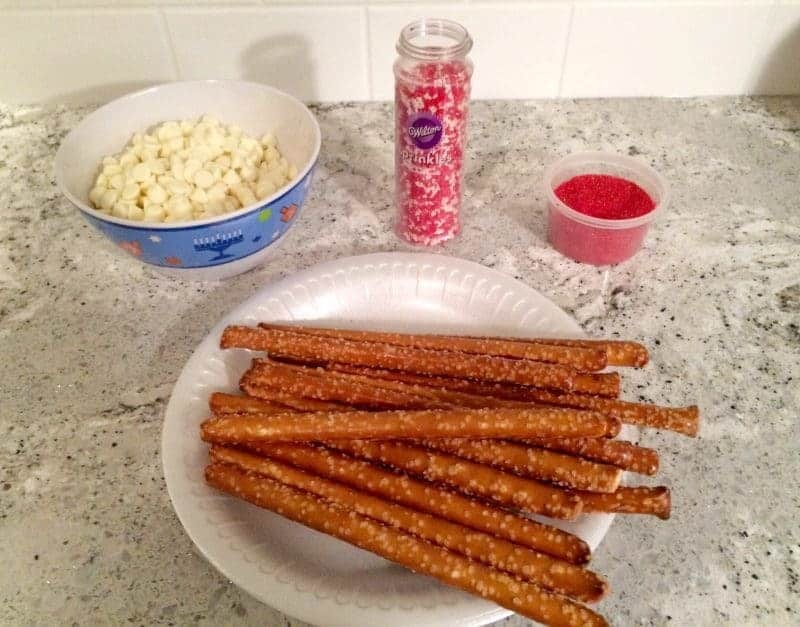 Use a non-stick baking mat, wax paper, or parchment paper to prepare a surface to lie your dipped pretzel rods. Melt chocolate either in a double boiler or in the microwave, carefully stirring at 30 second increments. Dip pretzels in chocolate, using a spoon to help spread the chocolate about halfway up the pretzel. Lift and let a bit of the excess chocolate drip back into the bowl, then place dipped pretzels on prepared surface and immediately cover with sprinkles. Allow pretzels to set completely before serving. These look scrumptious; thanks a lot for posting this recipe! I bet the saltiness of the pretzels goes great with the sweetness of the white chocolate – mmm! What a beautiful idea for Valentine’s day. Thank you for sharing this quick and beautiful recipe. 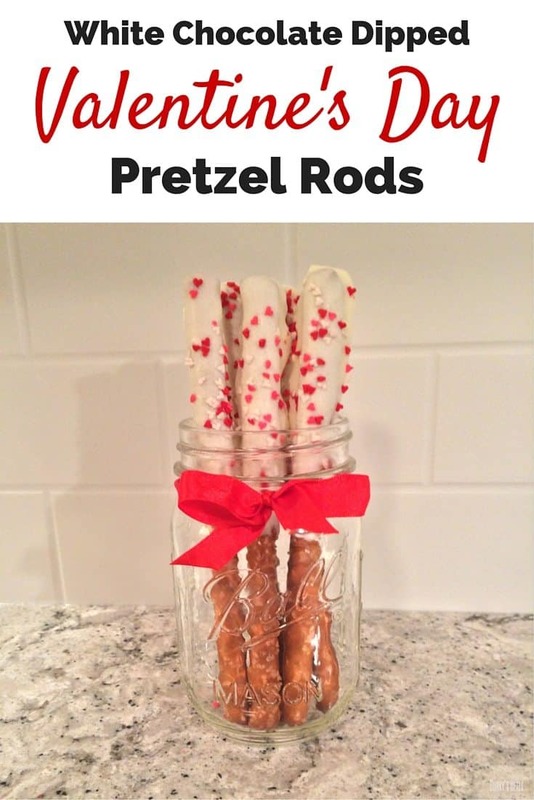 White chocolate valentine’s Day pretzel rods can be converted for any holiday. They are so easy me and the kids will have a ball with so many decorating ideas. We can do these for all The holidays!.Thank you for a great share. we do these often throughout the year….for any occasion or as just a treat! So simple and pretty! These could probably be modified a bit, to match the season or holiday. Thanks so much for sharing! My daughter and I made these, but we covered them in purple and orange crystallized sugar. We call them with he’s wands for Halloween.